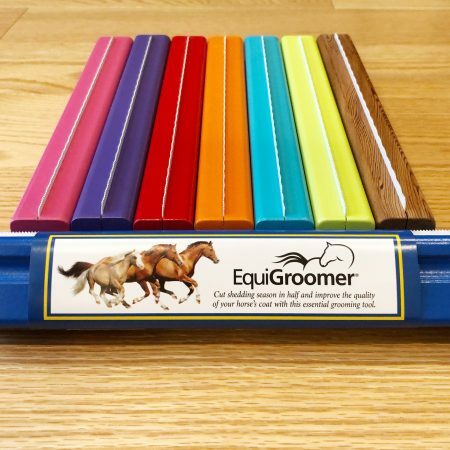 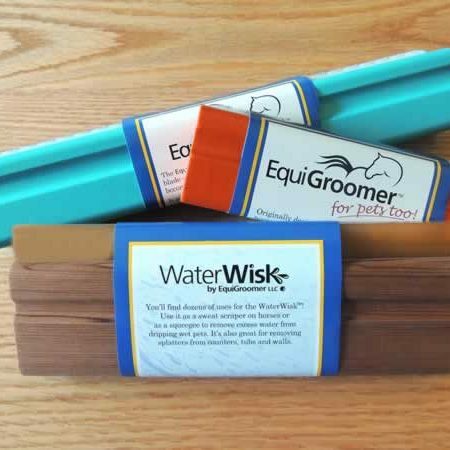 If you’re looking to save time and mess, then you’ll definitely want to add the WaterWisk to your horse’s bathing tool kit because it works great at removing excess soap and water from their coat. 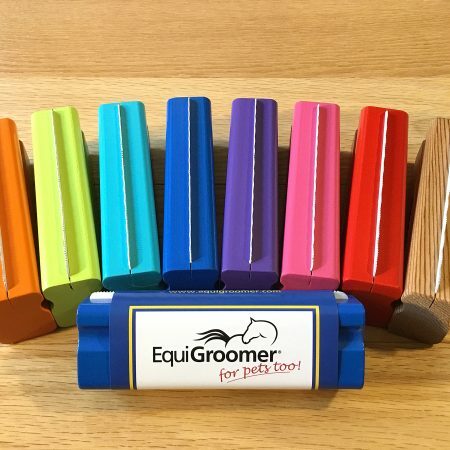 It will certainly speed up the drying time because it’s much more effective than standard plastic scrapers or the tool you may be using now–your hands! 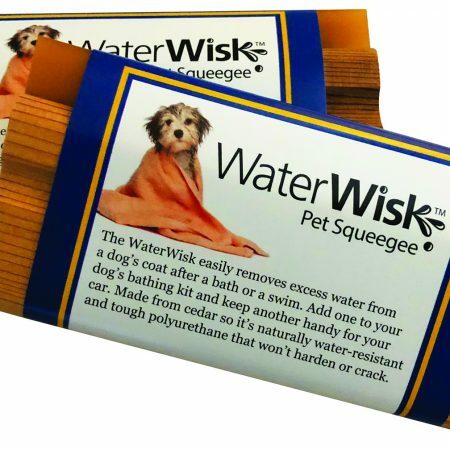 The handle is made from naturally water- and mold-resistant Cedar and the blade is made from tough but flexible polyurethane–the same material silk screener’s use–so it’s very effective and safe at removing water from the coat, even on boney areas such as hips and legs. 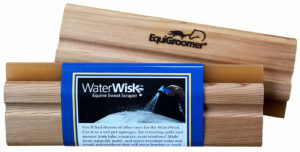 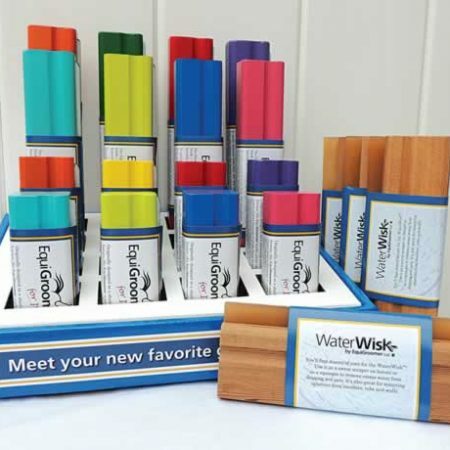 The WaterWisk was originally designed as a sweat scraper for horses but you’ll find hundreds of other uses for it. 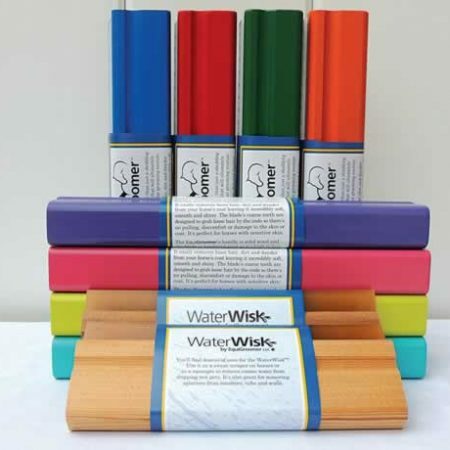 Use it wherever you have soap or water you want to “wisk” away.